There are times when we forget to thank the unsung heroes of our communities—the people like our local firefighters, police officers, and EMTs. They put their lives on the line every day to keep our communities safe, yet they still manage to find time to educate us on topics that will help prevent further emergencies. I had an opportunity to watch the firefighters from the 7th Engine and Ladder companies in Philadelphia work in our community. Through the Red Cross, I also had the honor of working with those firefighters. 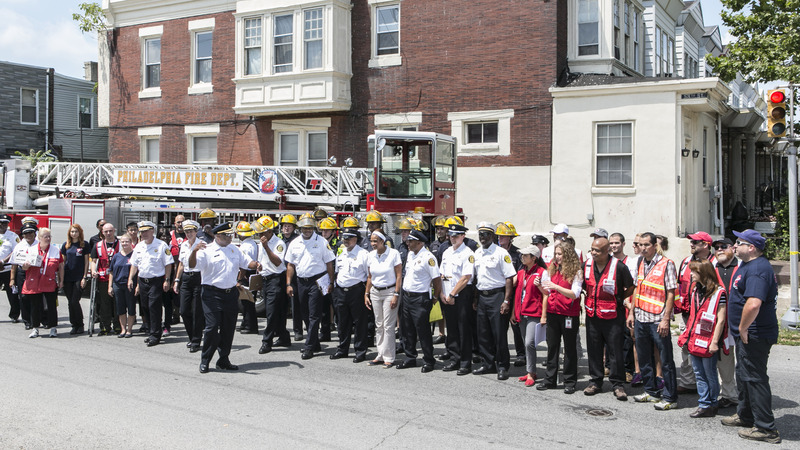 The Red Cross partnered with the Philadelphia Fire Department to kick off their “No More Fire Deaths” campaign. The event was launched on Tuesday, July 7th. Judge Renee Cardwell Hughes (ret. 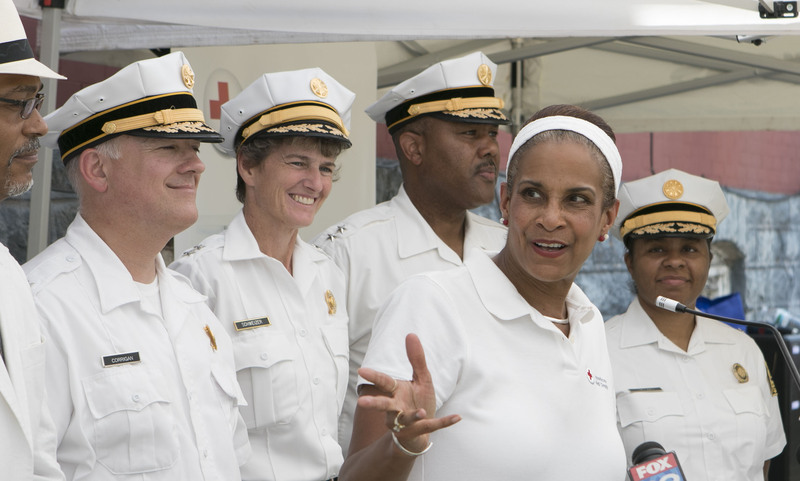 ), CEO, American Red Cross Eastern Pennsylvania Region spoke in partnership with Philadelphia Fire Department Commissioner Derrick Sawyer. Stressing the importance of ensuring that every resident had at least three working smoke alarms in their homes, the campaign is also designed to practice a fire escape plan. Statistics show that after a fire starts, a family only has a few minutes to exit the house. The aim of the campaign is to reduce the number of fire deaths as much as possible. Did you know that fire experts say that you only have approximately two minutes to escape a burning home before it’s too late? That information came as a bit of a shock to residents in the Philadelphia neighborhood where we launched the campaign. They were grateful for the information and were eager to come up with their own fire escape plans. Even more residents asked us to check their smoke alarms to make sure that they worked. It was easy to see that fire preparedness was going to become a priority in their lives. These heroes in our community are so inspiring. I spoke with one of the lieutenants about being a firefighter, and he told me that most people have an instinct to run away from danger, while those that choose to become one of these people that serve the community actually want to go towards the danger in order to help. 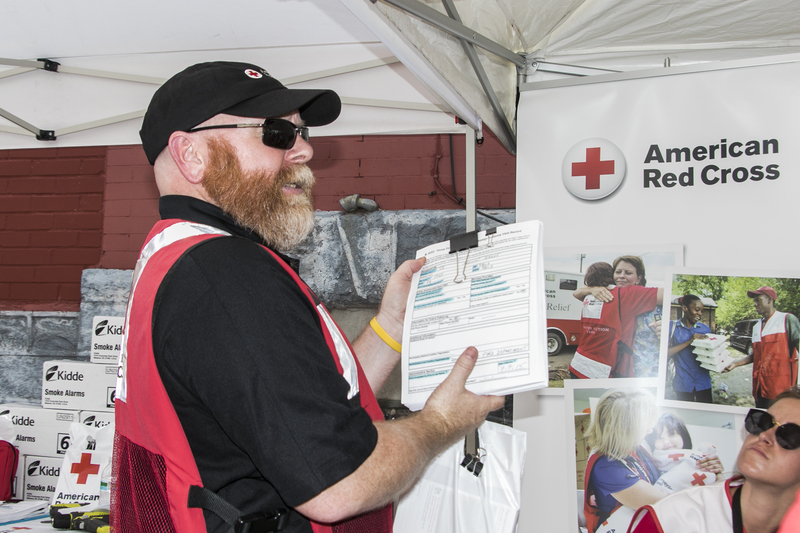 It’s wonderful to know that I can help out as well by volunteering with Red Cross. With more people aware of fire preparedness, we can get that much closer to our goal of ending fire fatalities. 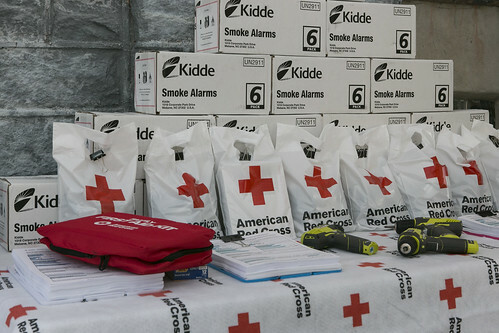 Visit the Home Fire Safety page on the redcross.org website to find out more information! Check out more pictures from the event by clicking the link below!